Pizza, ice cream, not having to leave the house on a rainy day and of course, a big bowl of matzo ball soup. People running into things also makes me feel better (as long as they’re not hurt) but that’s a whole ‘nother story…what’s wrong with me?? 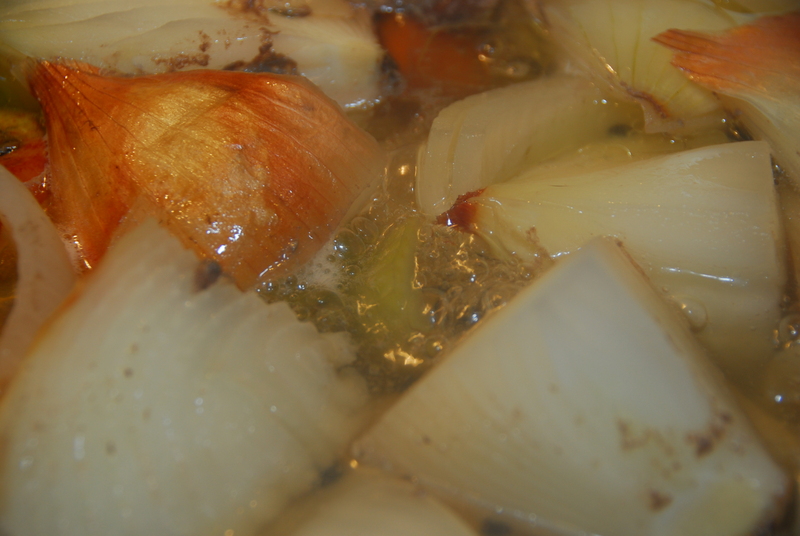 Back to the task at hand – SOUP. As long as I can stay focused you are about to have the best Matzo Ball Soup EVER!! The starting line up for today is as follows: 3 packets of “Matzo Ball Mix”, not to be confused with “matzo meal” (there are two packets per box – To risk stating the obvious – you will need two boxes equalling 4 packets, which gives you one to save for later), 4 eggs (I always use extra-large eggs in my recipes), 1/4 cup canola oil, 1/8 cup chicken stock fat (if you don’t have this ingredient substitute with canola oil), 1/4 tsp kosher salt and 1/2 tsp pepper . You can see in the photo above the worlds most amazing whisk. Papi got this for me as a gift and it’s by far the best whisk I’ve ever owned. I take it with me everywhere, not really, that would be weird. To start, crack 4 eggs into a bowl, any bowl, it doesn’t have to be this bowl. Pour 1/4 cup canola oil into the same bowl. Then comes the salt…then comes the bride, not really it just sounded right so I went with it. 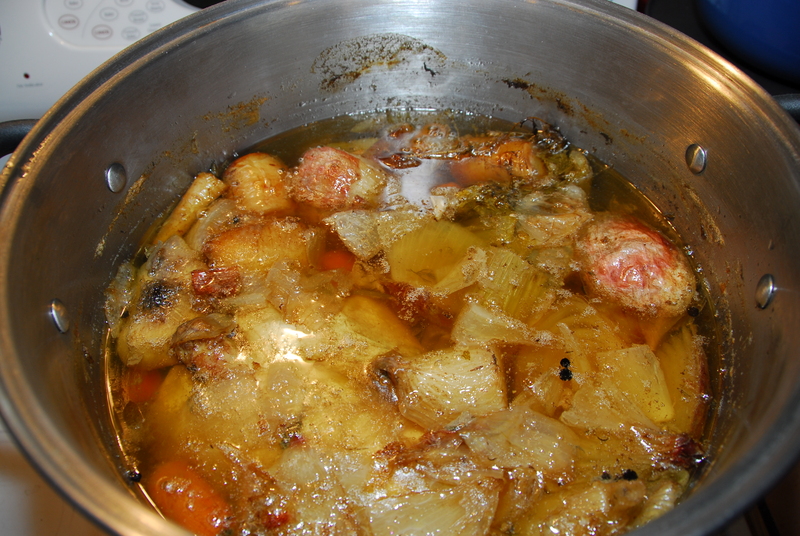 Then the chicken stock fat known as “schmaltz” in Yiddish. Now you can sound really smart when talking to your friends about chicken fat. You’re welcome! Whisk it all together so it looks like this. Cover with plastic wrap and let the mixture get its cold on. Chill for at least 25 minutes. If you can leave it longer that’s preferable. The colder the better!! As you look down at the dog sleeping on my foot, you will notice the crumbs on his back. I fling food around when I cook, I also dance and say “OPA” a lot. Am I sharing too much? When your matzo ball mixture has chilled it is time to make the balls. I use a teaspoon scoop so they are all uniform. As evidenced by the photo, this is the rough draft for your matzo balls. Just scoop them out and plop them down – You’ll make them tight and pretty in the next step. Take the matzo balls one by one, give them a good squoosh in your hand. Roll them until they are round. I could actually eat these raw just like cookie dough. How gross is that? Once your water is at a rolling boil it’s time to add your matzo balls. You have to admit this is really an awesome photo if I do say so myself! Once all the matzo balls are safely swimming, it’s time to turn the heat down to simmer and place the lid onto your pot. When your time goes off, fish one of your matzo balls from the pot and conduct a taste test. If you are satisfied, scoop out the rest. I prefer to use a slotted spoon for this step specifically because I do not want to harm these little guys. I set them on a plate until I am ready to slide them into my soup. My sons kept coming in the kitchen trying to steal them. I had to chase them away with a spoon so I could take this photo. You’re welcome! At this point, I have to use all my will not to gobble them down. 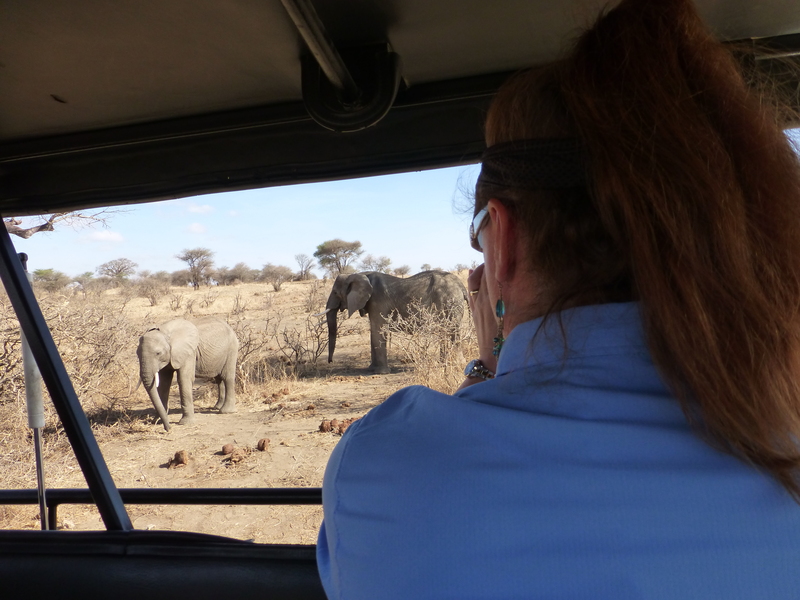 Until next time…Keep being awesome!! Be blessed, stay blessed and remember if you don’t laugh at yourself someone will do it for you!!! 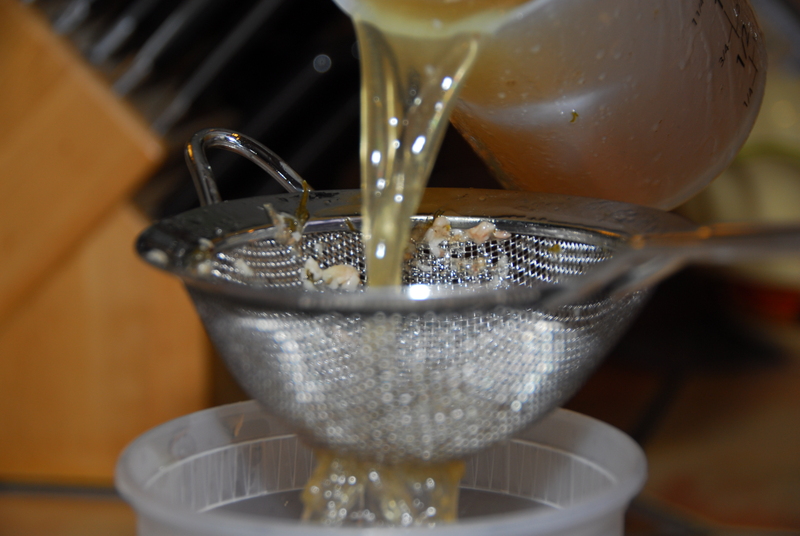 1 1/2 cups Matzo Ball Mix (I use Manichevitz) – not to be confused with plain matzo meal. 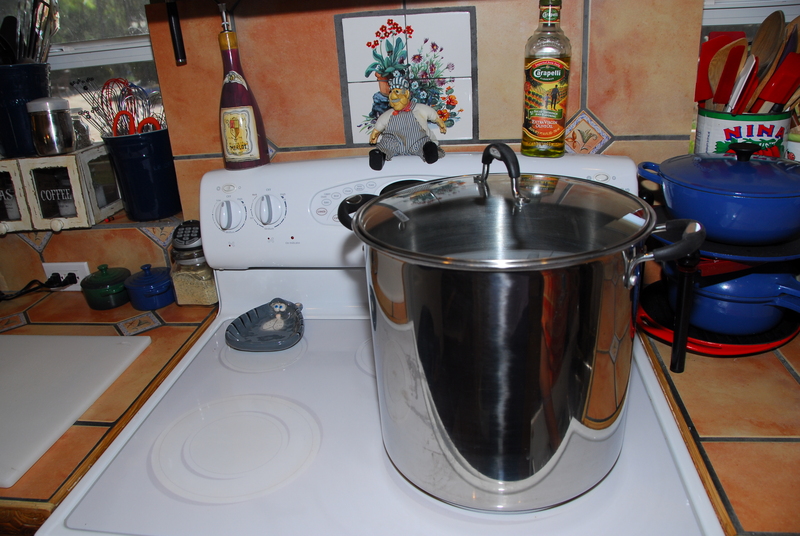 Bring 2 1/2 quarts (10 cups) to a boil in a stock pot. Once cold, roll into 1” balls. I use a 1 teaspoon scoop for uniformity. Once the water is boiling add the matzo balls, there is no need to add oil or salt to the water. Drop the temperature to simmer, cover and cook for 20 minutes. Use a slotted spoon to remove the balls. Either eat them as they are or continue on to the next step to make the soup. Homemade Chicken Broth –mm-mm Good!! I opened my freezer yesterday and to my dismay I only had one container of homemade chicken broth left. How could this happen? I swore I had just made some fairly recently. I then hugged my last container goodbye, used it in my recipe and swore to avenge its death with a new batch of soup. 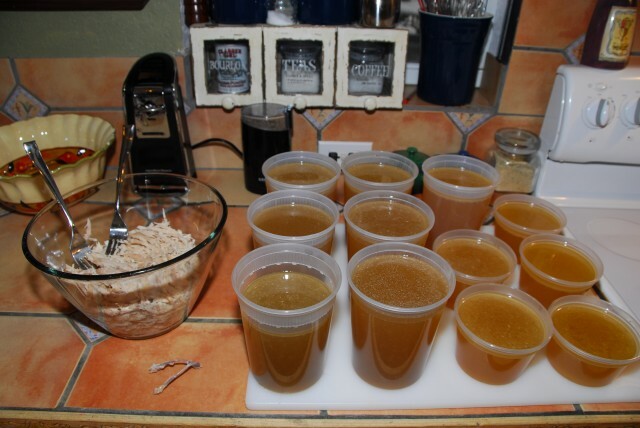 Here’s the recipe I use for Homemade Chicken Broth. I’ve been using this recipe for years and it turns out perfect every time. It just works and that’s what makes cooking super fun! 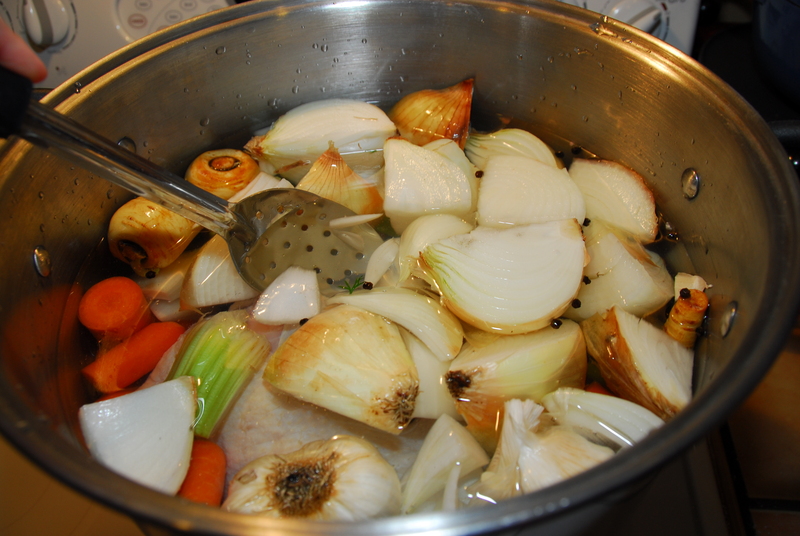 First things First – The stock pot – Make sure it’s a Big Daddy of a Pot!! 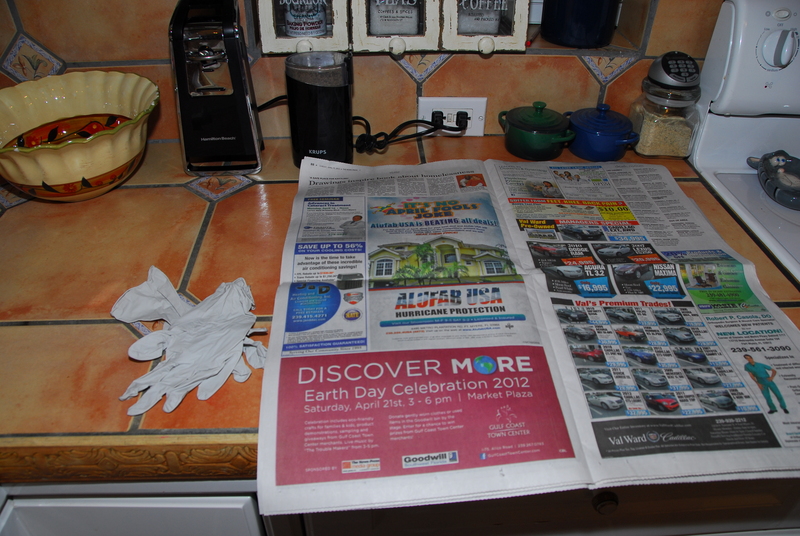 I use newspaper when dealing with the birds so I don’t get their yucky all over my cutting board and counter. As you can see I also use gloves, I don’t like to get their yucky on my hands either, grody. I always ask papi to remove the innards from the birds, unfortunately he was not home so I had to do it. So I put on my big girl pants, sucked it up and went for it..
Gag me with a spoon, I actually positioned the garbage can next to the counter, closed my eyes really tight, reached in, pulled the innards out, gagged, tossed the insides away and covered them with paper so I didn’t accidental sneak a peek. (I am just trying to be real here, not everything is glamorous in my kitchen). Don’t be mad at me for not saving the innards – we all have our limits!! Meet Fred, Don and Jack. 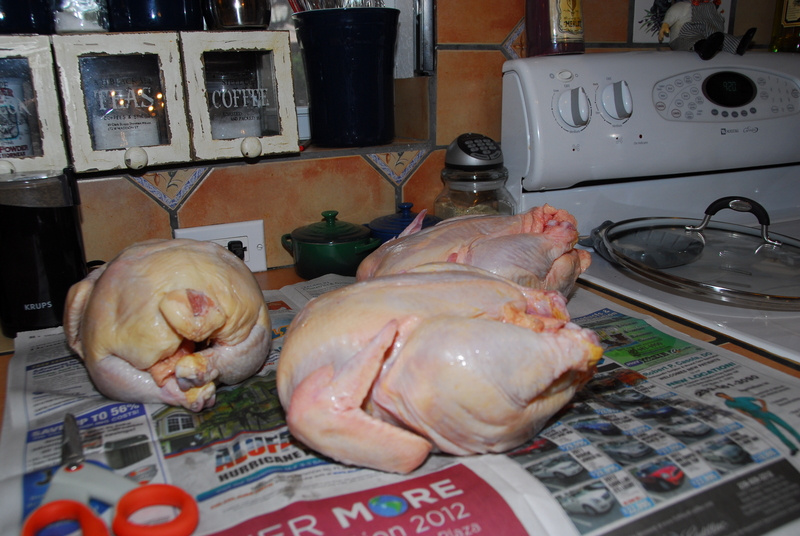 You will need three whole chickens approximately 5 lbs each. Note: They don’t have to be named Fred, Don or Jack any old bird will do. 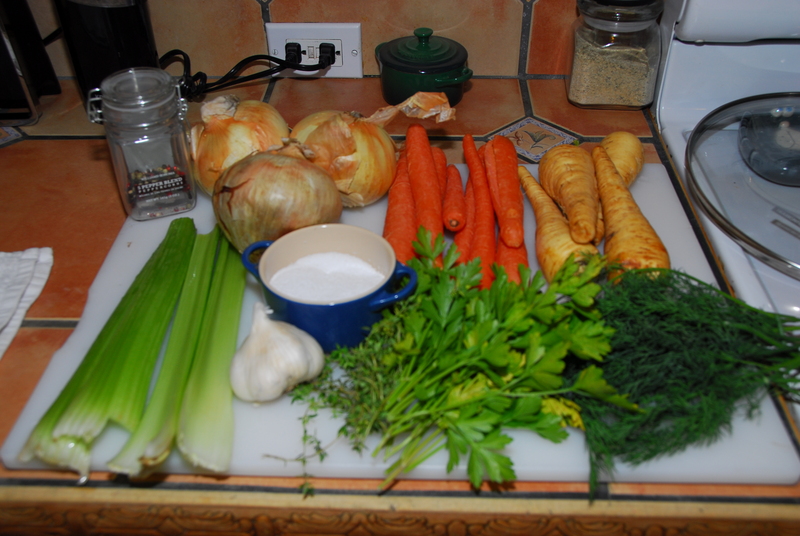 And now the fixin’s’: 3 large onions, 8 unpeeled carrots, 4 stalks of celery, 4 unpeeled parsnips, 1 head of garlic, 10 sprigs fresh thyme, 20 sprigs fresh parsley, 25 sprigs fresh dill, 2 tablespoons kosher salt and 2 tablespoons whole black peppercorns. Add the dill, you don’t have to chop it. Easy breezy!! Add the parsley, so you see a pattern here…Guess what’s next. 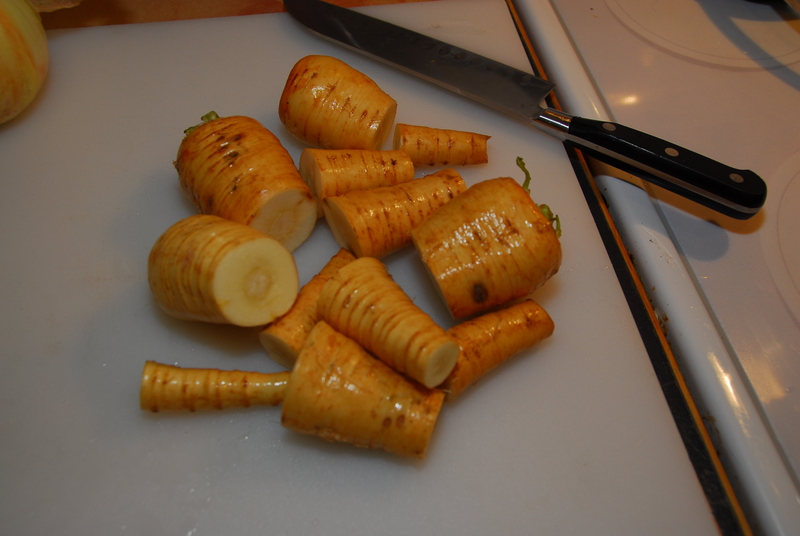 Then the unpeeled parsnips. 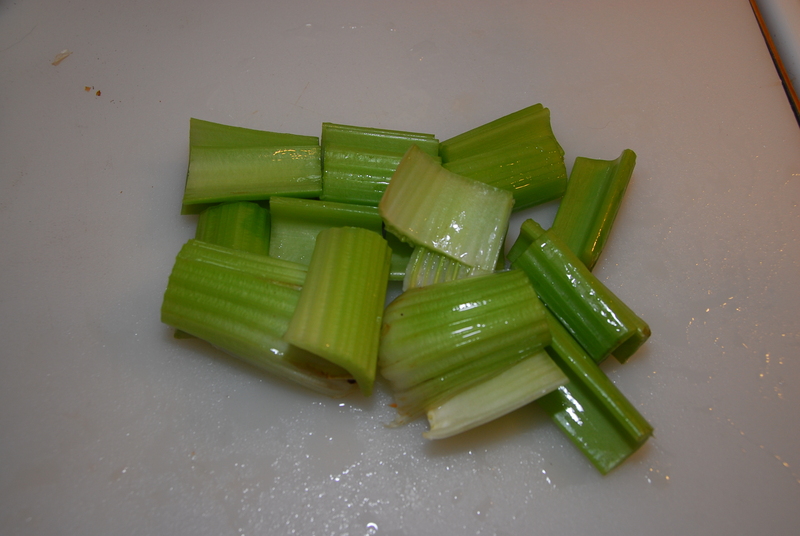 I cut them in thirds. 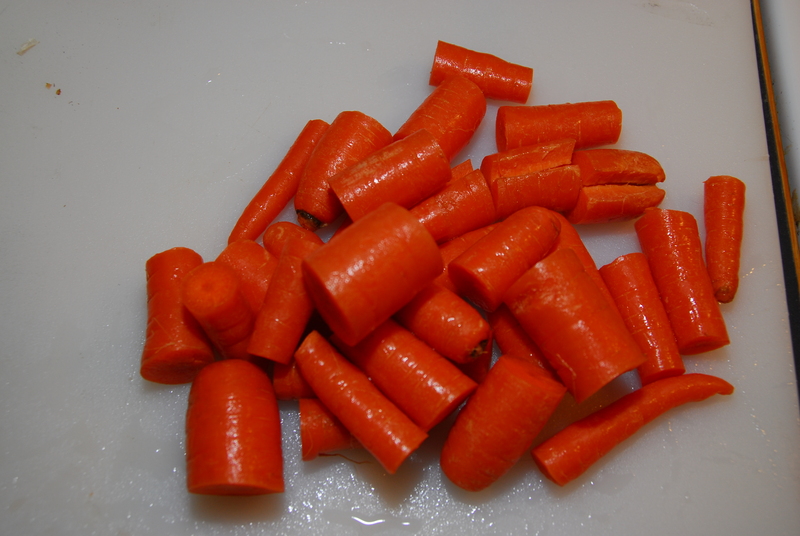 The unpeeled carrots, cut in thirds or fourths or fifths or sixths. Really it doesn’t matter just cut them please. 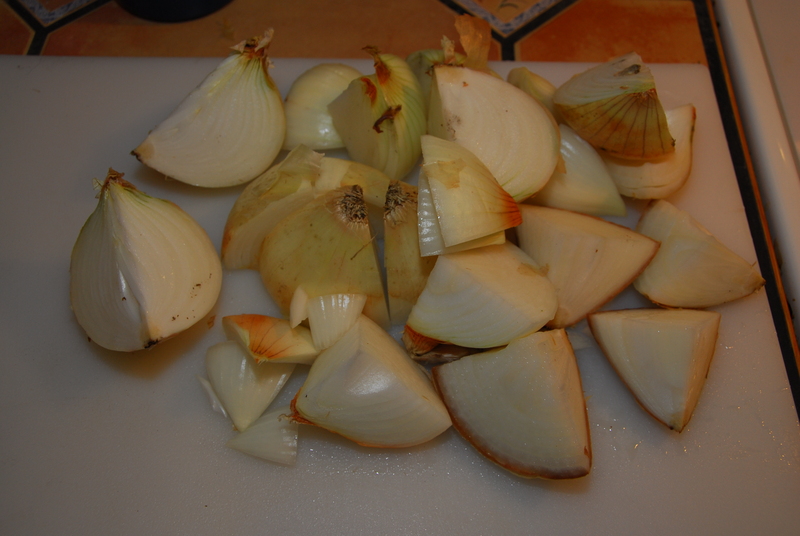 The onions – unpeeled and quartered. 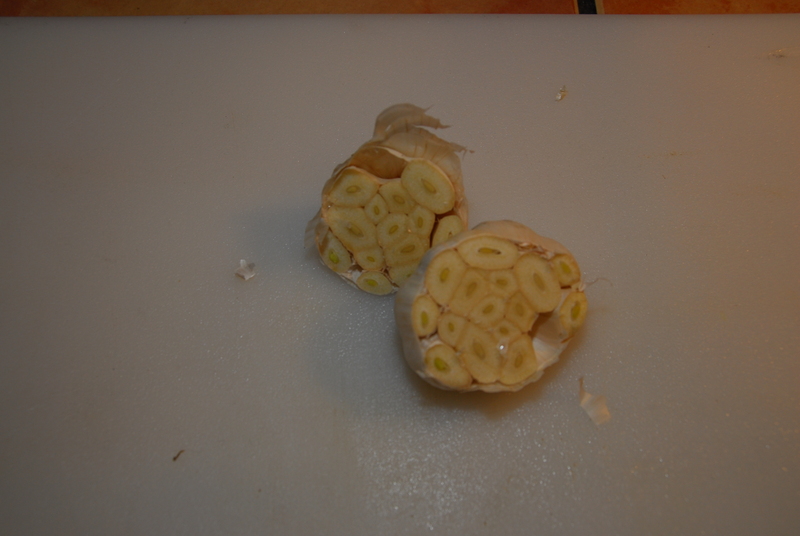 The entire head of garlic cut in half, skin and all. Look at those cute little boy fingers. I love my boys helping in the kitchen!! 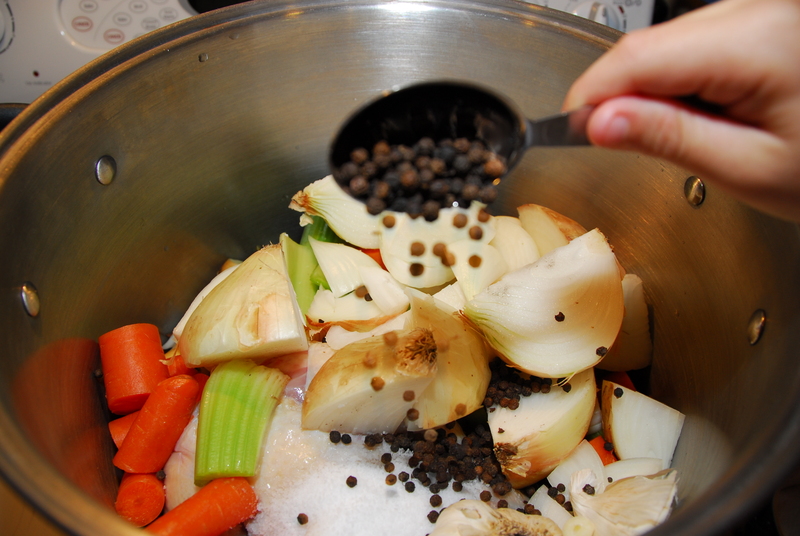 The peppercorns…Do not add ground pepper – the peppercorns are for flavor only. They will be strained once the soup is cooked. You would end up with pepper soup if you did that!! Then you’d have to sit and pick out all the ground pepper while thinking bad things about me and the whole process would take forever so kindly just use whole peppercorns and trust me. Ah, Ah, Ah – not so fast one more step. Stay with me here or you’ll have soup boiling all over your kitchen. 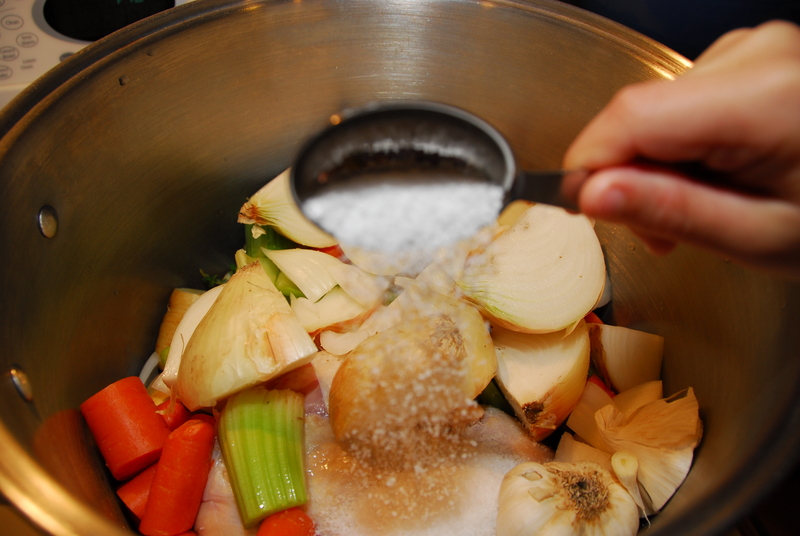 As soon as it starts to boil turn your stove to simmer, take off the lid and let it go to town. Now you can sit back, make some tea, grab a book and relax until your timer goes off. Some delightful, delicious, wonderfulness is coming your way!! And there you have it, Perfection!! Utter perfection!! I promised you it would be great didn’t I? Pull your soup off the stove and let it cool down. Once it has cooled enough to reasonably handle then it is time strain your soup. 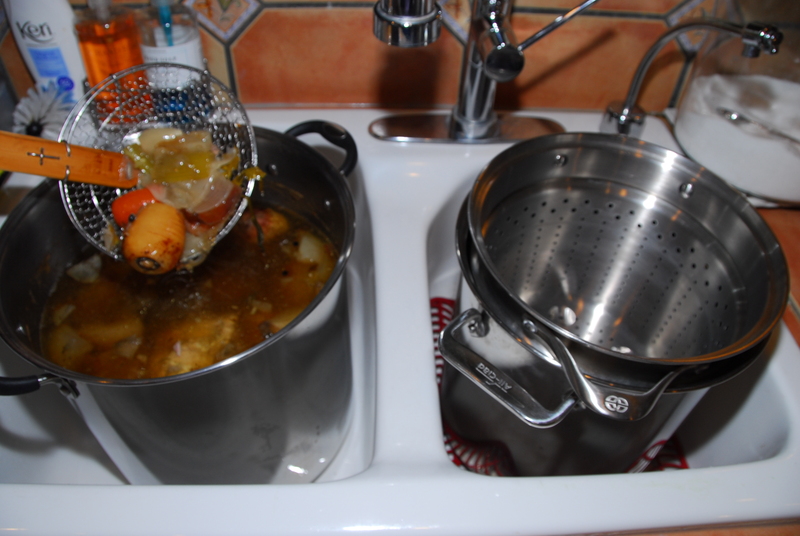 The easiest way I have found to strain the soup is to use another stock pot and strainer. 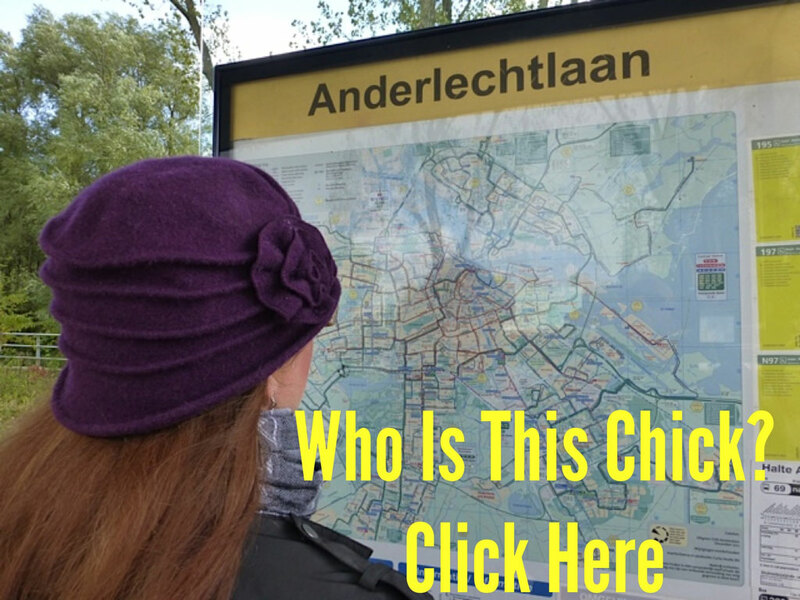 This way you don’t lose any of the juice from the chicken and vegetables. As you are moving the contents from one pot to another take a moment here and there to compress the solids. 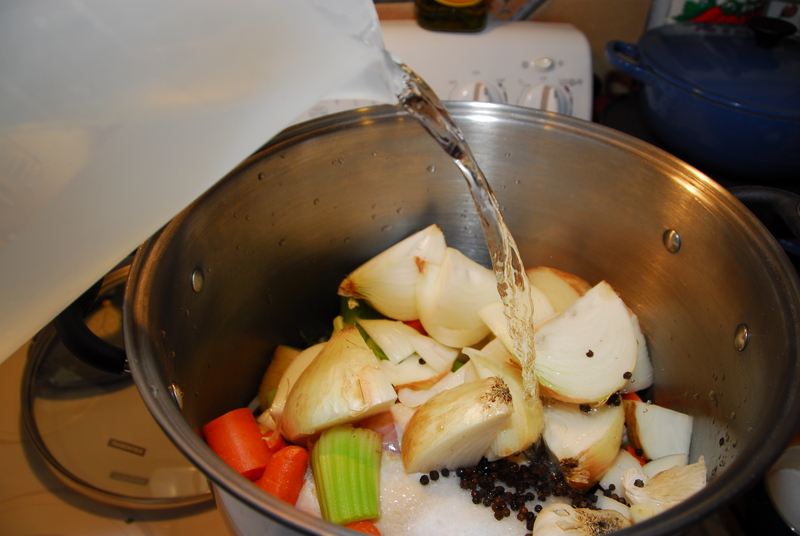 This way you get the most bang for you buck of chicken stock. If you choose to save the meat which I hope you will. Reach right in the pot as you are straining the solids and pull the meat out with two forks and shred. This meat is extremely tender, juicy and full of flavor. It will be great in all kinds of recipes. My largest strainer’s holes are quite large, this is why I take this additional step to make sure my stock is free of debris. And there you have it, the result of your labor. Great job my friend!! I am jumping up and down singing your praises because I am so proud of you!! Once these guys are cooled they will go for a slumber directly into my freezer. They will not pass go or collect $200.00 dollars! 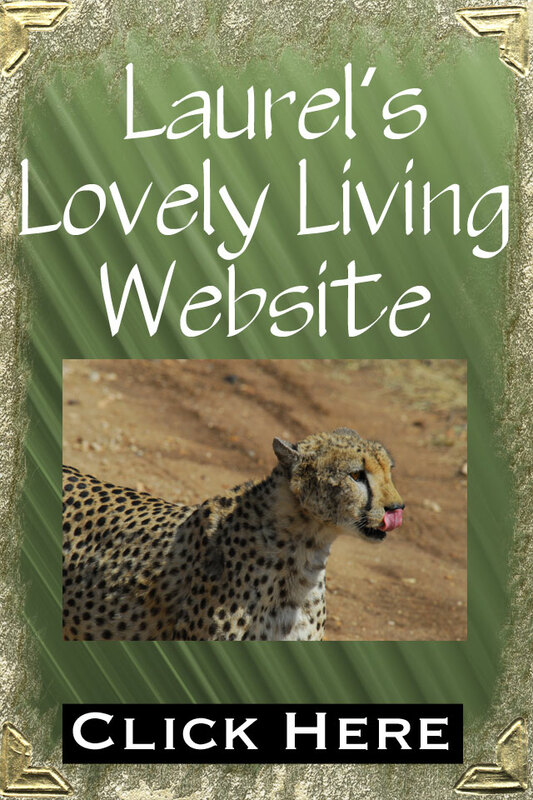 So for now I hope you enjoyed my first recipe blog. I was trying to make it simple enough so that even the most novice of chefs could follow along and the most advanced of chefs would enjoy the ride. Remember, doing something imperfectly is better than doing nothing perfectly!! Have fun in your kitchen, laugh at your mistakes, rejoice in your victories and remember when worse comes to worse you can always order a pizza!! Until next time…I’m off to clean my kitchen. 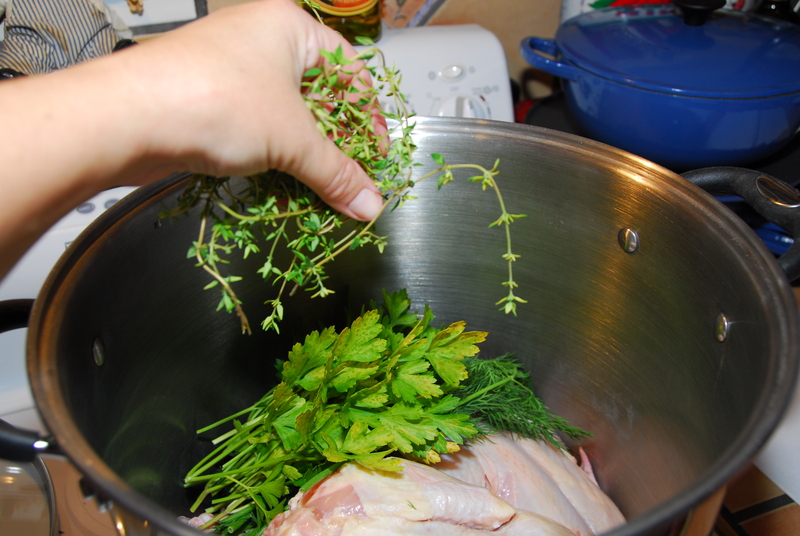 Wash and chop the carrots, celery, parsnips, thyme, parsley and dill. 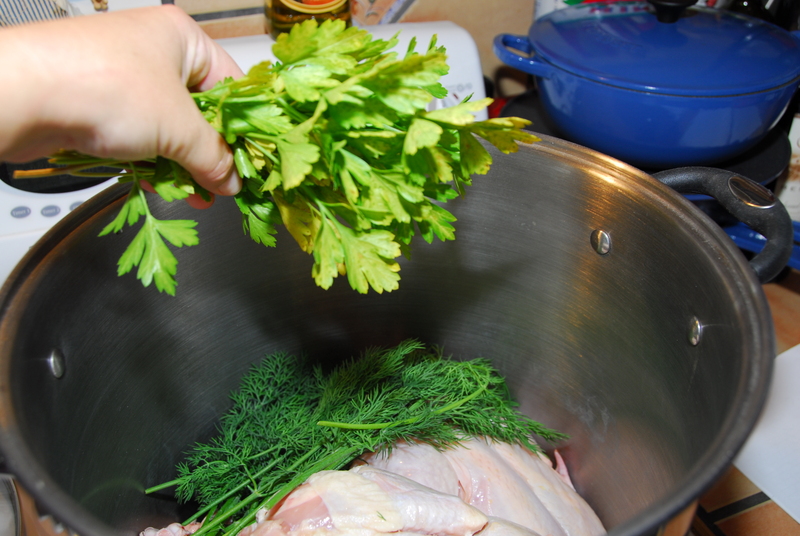 Place the chickens, onions, garlic, carrots, celery, parsnips, thyme, parsley, dill, kosher salt and peppercorns in at least a 16 quart stockpot. Add 7 quarts of water and bring to a boil. 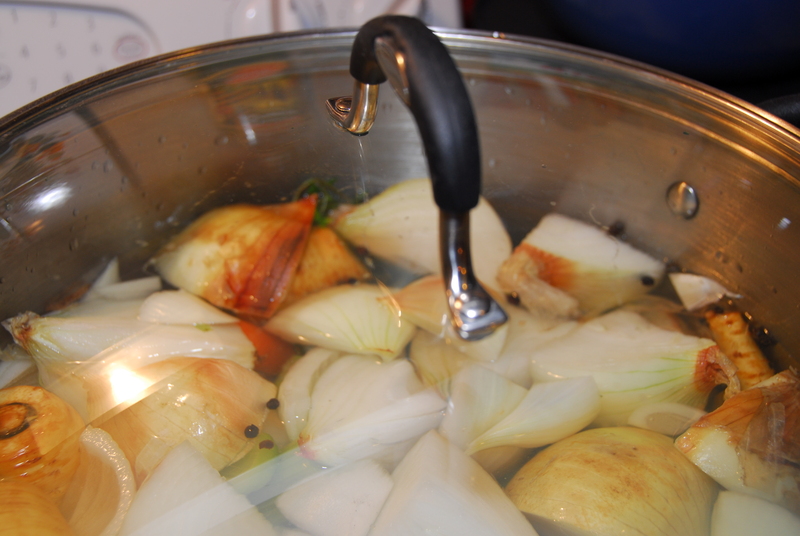 Once the water is boiling, uncover the pot and place on simmer for 4 hours. 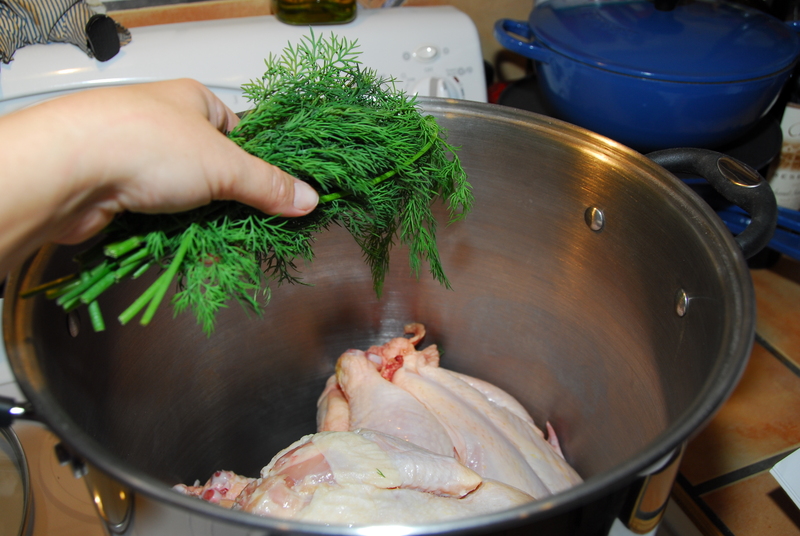 Strain the entire contents of the pot through a colander. 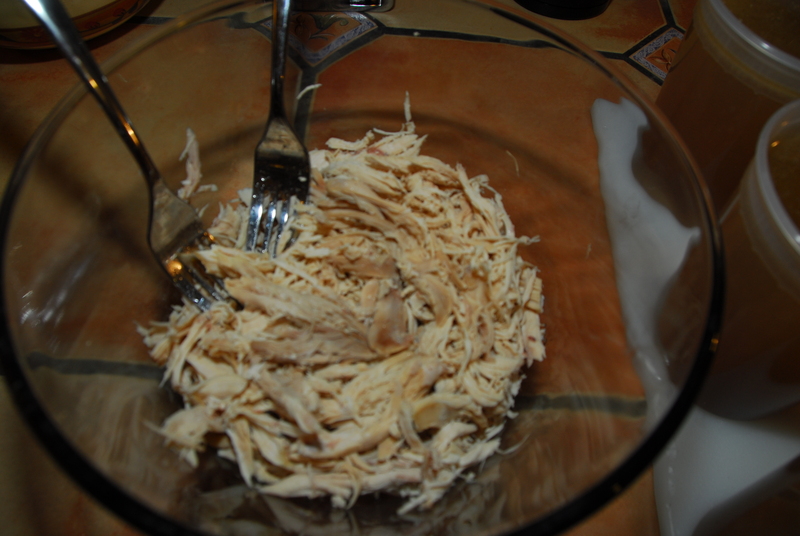 Optional step: You can shred the chicken and save for future meals.